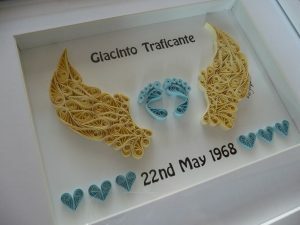 Quilling By Kath has created several design pieces as birthday, engagement and new baby presents for my friends. Kath’s creative flair brings to life unique designs and colours that I have never seen before- her Christmas collection of snowflakes were breathtaking! 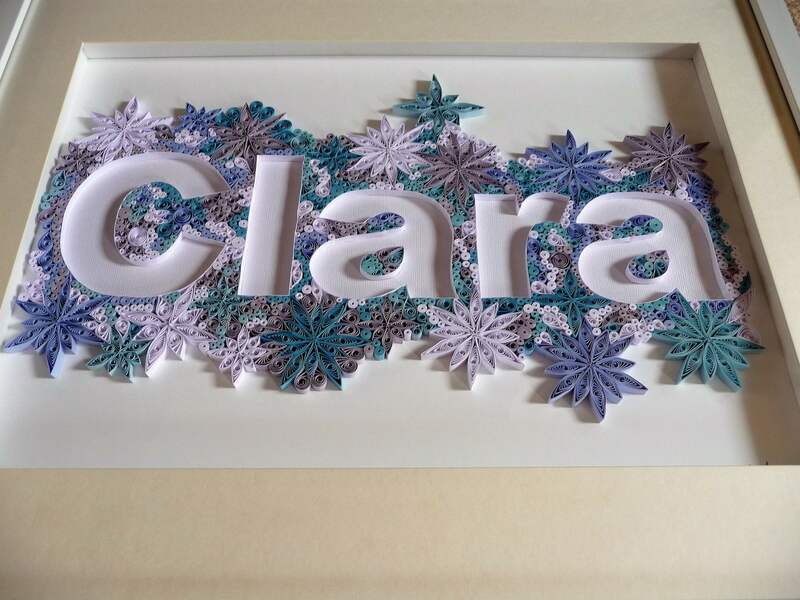 Her particular skill in matching designs and colours to suit what I am looking for is priceless- as are her one-of-a-kind personalised design pieces. 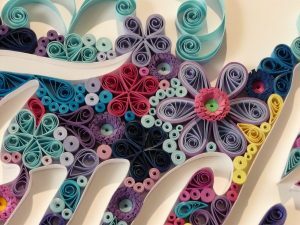 For something beautiful, unique and meaningful- call Quilling By Kath! Donvale Calisthenics would like to thank you very much for your support in donating a gorgeous framed Abstract Bird for our 50th Anniversary Celebration door prizes. We can’t thank you enough for the beautiful donation and support. Our winner was extremely happy with her prize. I have used “Quilling By Kath” a few times now for unique hand crafted paper quilled wall art for gifts for family and friends. 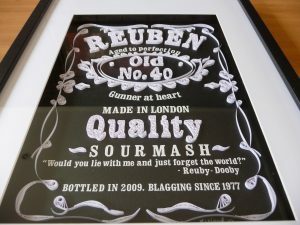 In each piece I’ve had made you can really see the time, patience and passion that Kath puts into her work. Kath is so happy and willing to help with working out what colours and ideas to make the piece the best it could possibly be. She is very fast and will get them done when needed. I have recommended her to friends and will be definitely ordering more pieces from her in the future.